If you are in the age between 20 to 30 years old, looking for moisturizing, brightening, and anti-aging skincare with natural ingredients then you definitely should spend your time reading this post. This is because THEFACESHOP Yehwadam Skincare Range is specially targeted for this age group using Korean Traditional Herb ingredients. Like the picture above, Yehwadam is the representative of Korean traditional herbs line. 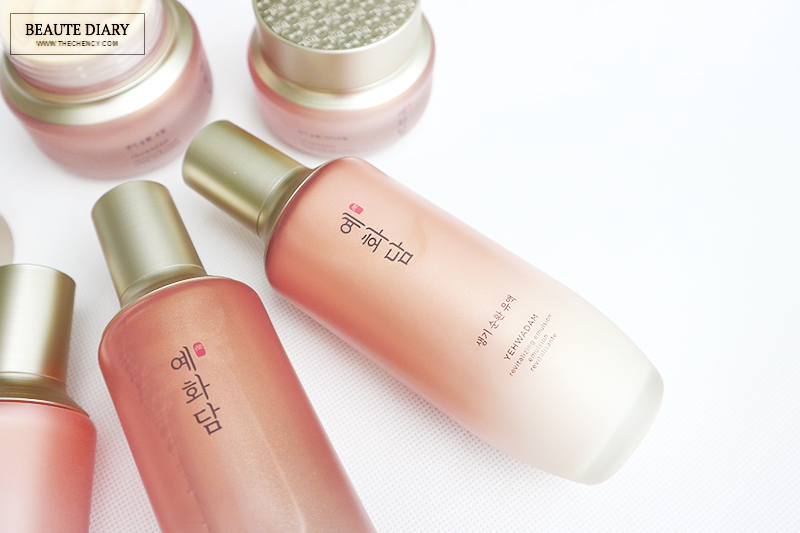 Yehwadam delivers the essence of Korean traditional beauty regimen uses 3 kinds of natural ingredients which are herbs, plants, and flowers. One of the highlights of Yehwadam is unlike another herbal line, Yehwadam actually has a pleasant natural floral smell so it will be much suitable for the younger age. Okay, let's start off with the amazing cream aka moisturizer first. This is actually is not in the same range with the Yehwadam Revitalizing Anti-Aging skincare range but still in Yehwadam family. 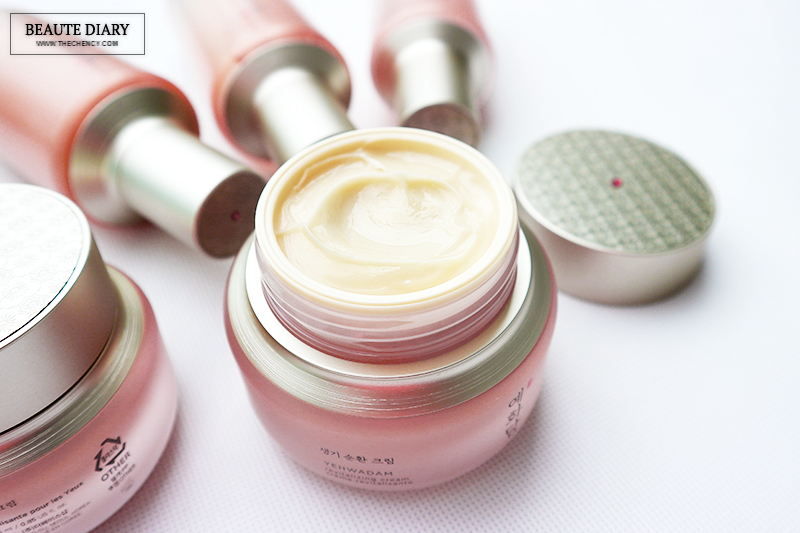 The capsule cream is more into brightening effect so if you love the luminous skin, then check out this product. 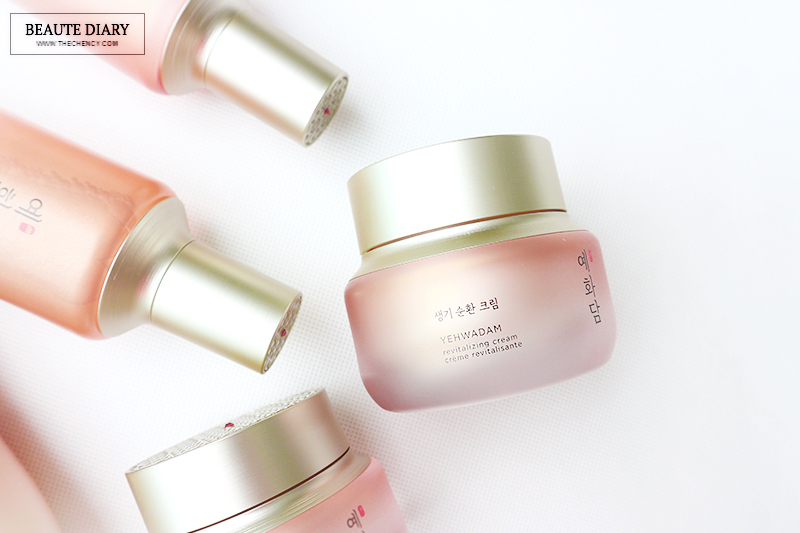 Like the picture above, the special thing about this cream has many little capsules inside. I know... it might not look pleasant to you (to me too!) but the effect after using this is boom AF! Not exaggerate, this cream is really good. 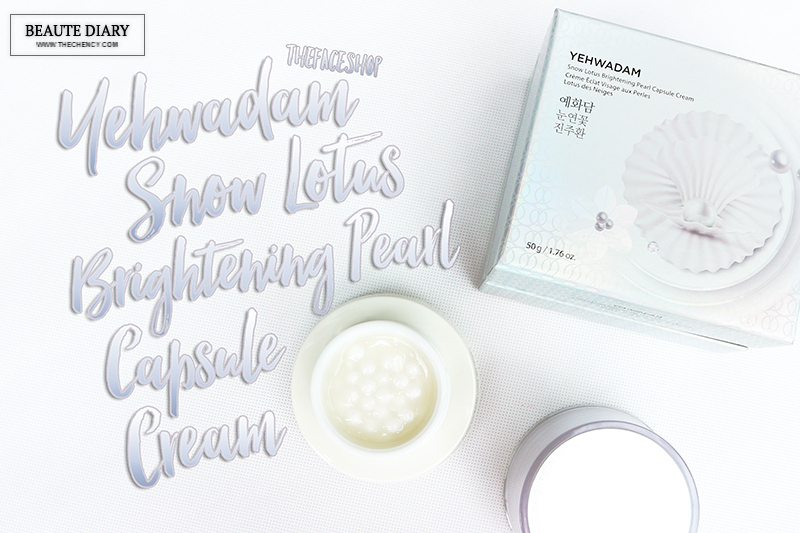 THEFACESHOP Snow Lotus Brightening Capsule Cream is a brightening pearl cream that contains glowing white pearls and rare snow lotus ingredients in a concentrated form for a moisturized skin that is as white as snow. The capsule can freshly keep the most effective active ingredient to minimizing the amount of time in contact with air so it does not oxidize or contaminate. 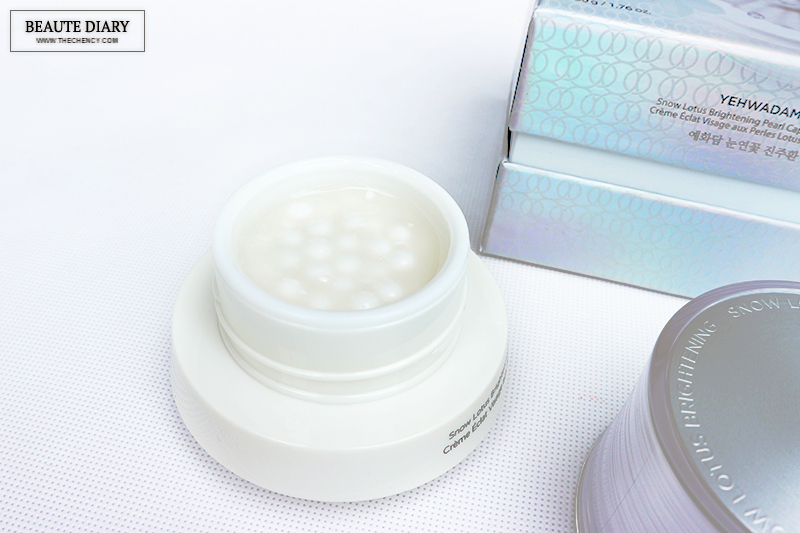 Besides than the rare snow lotus ingredients, another highlight of this capsule cream is the instantly brightening effect in just one application and the skin tone will lighter after few usage. I really in love with this capsule cream. First reason is because it has an instant brightening effect upon application makes my skin looks so healthy and luminous like I'm having a perfect skin. Second reason is this capsule cream really makes my skin tone lighter after two weeks usage (I'm only using as day cream). Of course, it won't give me a drastic result like few shades lighter but at least my skin tone is more even and glowy like I'm having a healthy perfect skin lol. The last reason is the texture of this cream, it is super lightweight and fresh (mixing with the capsule) when applying without feeling too heavy for my combination skin. It does not leave the greasy residue on the skin. 1. Taking 1 - 2 pearl capsules and smash it on your palm then just apply evenly to your face. The 3 main key ingredients of this Yehwadam Revitalizing Anti-Aging Skincare Range are Korean Ginseng, Safflower and Goji Berry. Korean Ginseng is for skin revitalizing and younger looking skin. Safflower can help to improve skin texture and complexion, for energized skin and has great anti-aging effects. Goji Berry can control skin cells aging for a radiant and glowing skin. Yehwadam Revitalizing Toner is an anti-aging toner that can help to revitalize the skin to its natural skin radiance. This toner contains ultra moisturizing ingredients that replenish the skin with moisture by balancing acidity levels that are also long lasting. The texture of this toner is like those common toners in the market which is clear and translucent water type of toner. It is so refreshing without feeling sticky and absorbs super fast into the skin. This is the product I use up so quickly; morning & night routine, before applying makeup and also after removing makeup. Yes! I am that crazy kind of girl who obsessed with the toner because I love the consistency to toner and it is really hydrating my skin without burden. So far, I have been loving this toner so much. Yehwadam Revitalizing Serum is the star product in this range. If you need my recommendation between this range, I said "Take this serum and you will thanks me later 💖". Yehwadam Revitalizing Serum is a revitalizing serum with a one of a kind dewy texture that immediately provides a healthy and vibrant skin finish without leaving a sticky residue. THEFACESHOP Yehwadam Revitalizing Emulsion is a revitalizing emulsion that gently provides long lasting ultra moisturizing and nourishing protection to the skin’s barrier. This emulsion is highly nourishing and moisturizing that lasts all day long due to its liquid base and nanoparticles which will keep the skin firm and soft. In case you have no idea, an emulsion is a step after serum before moisturizer. But if you're a combo to oily skin type or lazy person, you can skip this. On the side notes, you can use this as the moisturizer as it's own if you prefer a fresher and lighter skincare. Okay, personally I will treat this as my makeup base before moving on to makeup. The white clear runny texture is very gently absorbed into my skin leaving my skin hydrated and glowy. 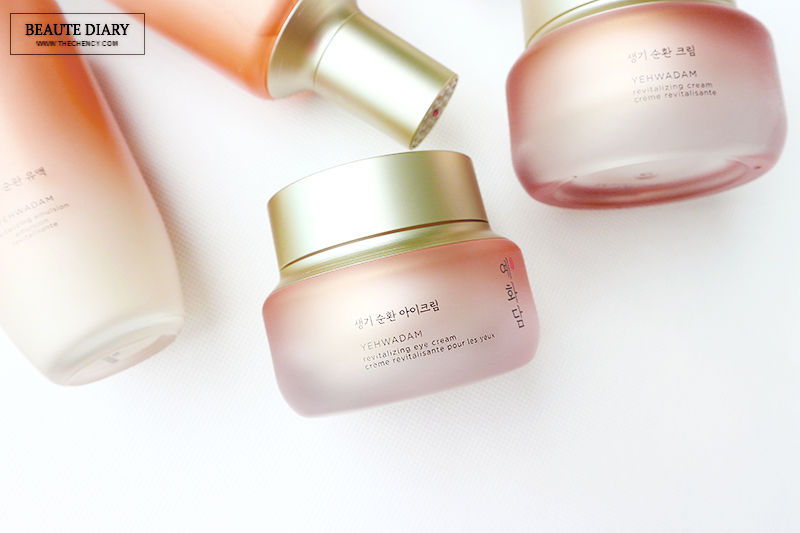 This is my favorite among this series and also my favorite eye cream as well! 😍 Yehwadam Revitalizing Eye Cream contains ultra high nutritious texture that instantly absorbs into the area around the eyes to smooth out skin while also minimizes the appearance of fine lines and dark circles. It also contains 'Ceramide' which does not irritate sensitive eye area as texture that is similar to the skin structure. 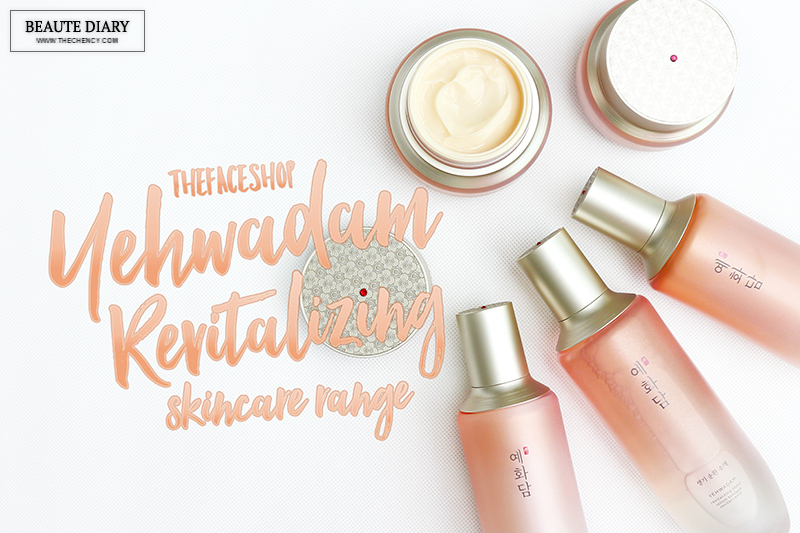 THEFACESHOP Yehwadam Revitalizing Cream is a nourishing and firming cream that creates a protective layer to skin to keep skin hydrated and smooth. It can help to replenish the skin with moisture and restores skin elasticity from deep within. Besides that, the cream protect the skin by creating a moisture barrier that leaves the skin with smooth texture and also firmly adheres to skin without a greasy finish. 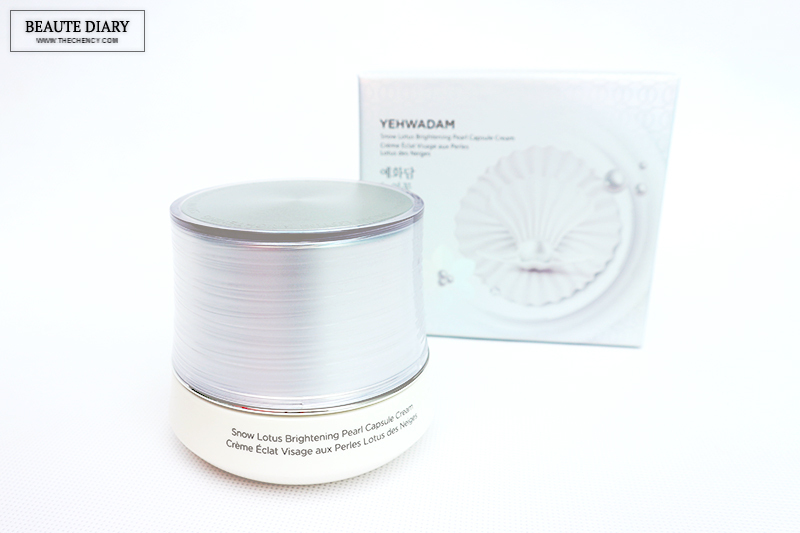 The texture of THEFACESHOP Yehwadam Revitalizing Cream is thick and creamy, not feeling greasy and oily but it might take time for this cream to completely absorb so it will be good to massage in the upward direction to lift the face as well. I use this cream as the night cream (Snow Lotus Brightening Pearl Capsule Cream as day cream) because I love how this cream giving a long lasting moisture even sleeping in air-conditioned room. 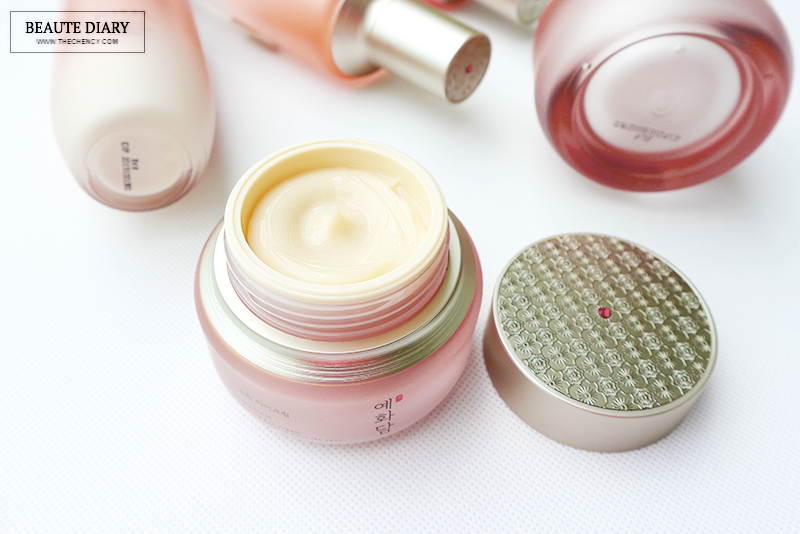 Skincare Range & Snow Lotus Brightening Pearl Capsule Cream. Meet you on my next one. I just love Korea so much. Definitely the product is worth the price with the beauty technology they have.